Did you know that the average hedgehog has between 5,000 to 7,000 quills on its tiny body? 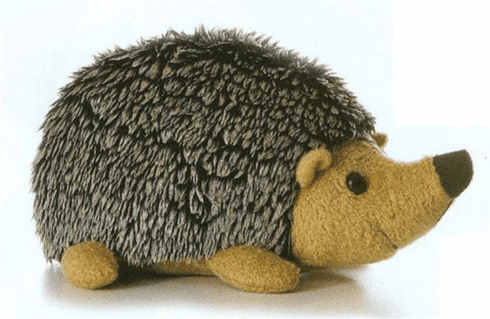 Howie, the adorable 8" plush hedgehog by Aurora, may look like he has quills, but he is actually as soft as can be! His "quills" are an alternating dark and light gray, and his face, feet and underside are light brown. As with all of our stuffed animals, Howie is made of kid friendly, non-toxic new materials. Surface washable; for ages 3 and up.